San Antonio, TX -SABCS 2007: Attendees gather at Exhibit s at the San Antonio Breast Cancer Symposium here today, Saturday December 15, 2007 in the Henry Gonzalez Convention Center. 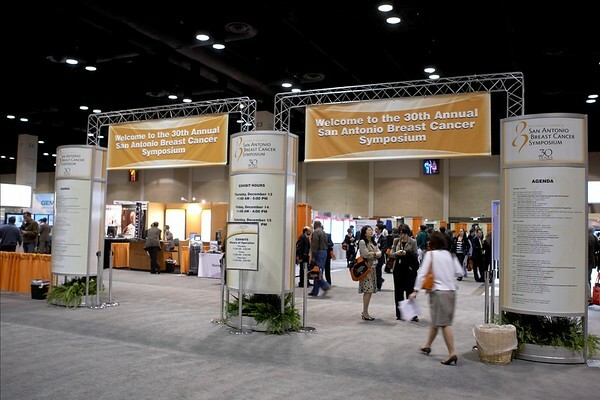 Over 8,000 physicians, researchers, clinicians, caregivers and cancer survivors from over 60 countries gathered to hear the latest developments in Breast Cancer research and treatment. Date: Saturday December 15, 2007 Photo by © SABCS/Todd Buchanan 2007 Technical Questions: todd@toddbuchanan.com; Phone: 612-226-5154.